Add flaxseed to your baking for a pleasant nutty taste, and more. Attractive flaxseed adds flavor, extra texture and good nutrition to your breads and other baked goods. You can add it to your home baked products in its whole seed or milled form. – Add a scoopful of flaxseed to bread doughs and pancake, muffin or cookie mixes. When sprinkled on top of any of these before baking, the seeds add crunch, taste and eye appeal. – Mill a desired amount of flaxseed to a granular, free-flowing meal in a coffee bean grinder. 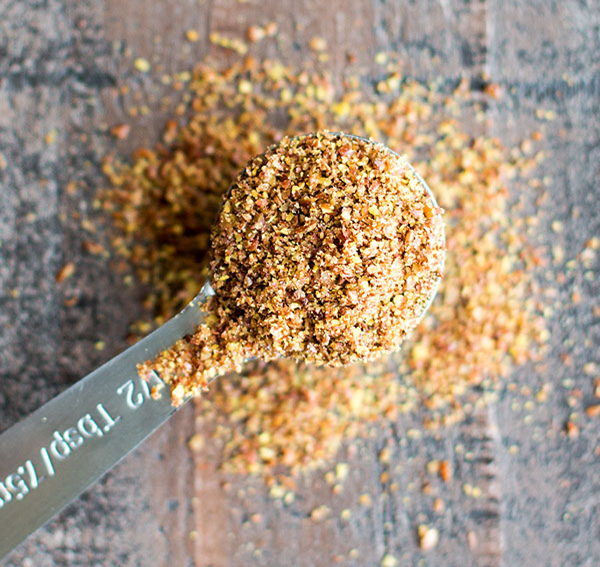 Added to your baked goods, the milled flaxseed enhances the flavor, appearance and food value of the finished product. – Substitute a ground flax seed/water mixture for eggs in recipes such as pancakes, muffins and cookies. Use 1 tbsp ground flax plus 3 tbsp water - left sitting for several minutes - for each egg. Note that this will result in a chewier version of the recipe, with less volume. More Than Just Muffins - The Amazing Flax Cookbook, written by Registered Dietitian Jane Reinhardt-Martin and featuring Chef Ron Garrett, gives consumers more than just muffin recipes. This unique, first of its kind flax cookbook, contains over 200 easy-to-make recipes and daily menu plans designed for maximum health, and weight loss for those who need it. Reinhardt-Martin shared the remarkable findings on how flax can fight illness, from cancer to heart disease, in her first book---Flax Your Way to Better Health. As word spread, her clientele demanded more flax-based recipes, inspiring her to write this cookbook/diet plan. Recipes were not only designed by Reinhardt-Martin and Chef Ron Garrett, but also includes her readers(with their stories of why they include flax in their diet). The Amazing Flax Cookbook includes tips on how to cook and bake successfully with flax, as well as 6 weeks of 1500, 1800, and 2200 calorie meal plans.